The United Nations University in collaboration with EQUALS Research Group published report on Taking Stock: Data and Evidence on Gender Equality in Digital Access, Skills and Leadership(link is external). The inaugural report of the EQUALS Research Group lays the foundation for the EQUALS Partnership agenda by surveying the landscape of knowledge on gender equality as it relates to the three EQUALS action areas – Access, Skills, and Leadership. Central to the call for digital equality are claims that the internet has the potential to be a driver of accelerated progress towards the achievement of the Sustainable Development Goals (SDGs) contained in the UN’s 2030 Agenda for Sustainable Development. It is important to understand how these benefits are distributed between men and women, and why there appears to be significant unevenness in their adoption at a global and national level. Yet our ability to assess where we stand currently in relation to access and use of the internet, and to measure progress toward achieving SDG targets related to information and communication technologies (ICTs), is constrained by the dearth of reliable data. Data collection is particularly problematic in pre-paid mobile markets: supplier data does not capture the number of unique subscribers, nor does it show users’ demographic characteristics. 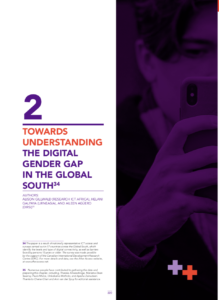 This research aims to address these data challenges through quantitative and qualitative analysis of ICT access and use across the Global South, and by examining the barriers to online access and the limitations on optimal use. Findings are derived from the After Access 2017 household and individual survey, a nationally representative survey of ICT access and use undertaken by DIRSI, LIRNEasia and RIA, across 17 countries in the Global South. 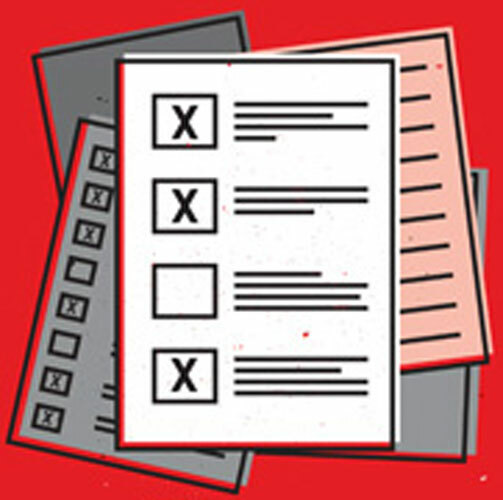 Households were selected from the national sampling frame using simple random sampling. First, the head of the household was interviewed to obtain household indicators. Next, an individual (15 years or older) was randomly selected from each household to be interviewed about their mobile access and usage. The findings highlight the significant demand-side challenges to achieving SDG ICT goals, including cost of devices and services, low education and associated income levels, digital literacy gaps, and limited availability of local and relevant content. Modelling the data further identifies the factors behind digital inequality that may be masked by aggregated descriptive indicators, and suggests areas of policy intervention to address gender inequality. — with GNI per capita. The richest of the surveyed countries show the lowest gender gap. India, Pakistan and Bangladesh show the largest gender gap in mobile phone ownership and among the largest in internet use. There are notable exceptions to this pattern. Colombia, with lower overall mobile penetration, has gender parity in mobile ownership; and in South Africa, with high income disparity, more women than men own mobile phones. In Africa, education and income are the main determinants of access to the internet. Women are generally less educated, less employed and have lower incomes than men. In Asia, disaggregating women by income or wealth illustrates the importance of understanding they are not a homogenous group (just as men are not). In Latin America, the main factors affecting the gender gap include both observable characteristics (age, occupation and household characteristics) and non- observable factors that should be taken into account, in country-specific policy interventions. Numerous people have contributed to gathering the data and preparing this chapter, including, Tharaka Amarashinge, Mariama Deen Swarray, Paulo Matos, Onkokame Mothobi, and Ayesha Zainudeen. Thanks to Chenai Chair and Anri van der Spuy for editorial assistance.